One of the struggles of online money makers nowadays is identifying whether a particular job offered is legit or not. As we can see, there are so many opportunities online, written by various writers/bloggers that are posted on their blogs/sites together with the proof of their income. Though there are digits visible, the kind of doubt developed in the minds of netizens nowadays is hard to eradicate. This is probably because of their experiences with several online scams. And it is really devastating on the part of the prey to fall into the hands of scammers. Imagine the amount of time, efforts and funds wasted. And this is the reason why I am obliged to share to you my experiences together with other possibilities of earning money through Humanatic. This is a legit site that offers lots of opportunities to those who would like to earn money while they are at the comfort of their homes – in front of their computers to be specific. You will get to explore and learn a lot of things about Humanatic and everything starts here. Humanatic is an online call review job owned by Century Interactive Inc. offered to those who have complied with the requirements set by the company during the application period. Every worker will be paid depending on the quantity of calls reviewed with their corresponding amount per tag. HOW TO APPLY FOR A HUMANATIC ACCOUNT? Applying is so simple. Let me give you a step by step guide to applying for a Humanatic account. Step 1: Before going further, be sure to prepare all the necessary requirements/equipments you will need for you to have a smooth flow of transactions and earnings in Humanatic. You should have a verified email address, paypal account, a computer with a headset preferably and a good internet connection. Step 2: Once you already have these, the next thing that you will do is go to www.humanatic.com. On the homepage of the site, you will see a video that talks about how everything works for Humanatic and all its constituents. You need to watch the video if you want to have a quick look at the Humanatic window. Click on “click here” - a hyperlinked text you can see on top of the video to continue. You will then be directed to a page with a brief, general description of what to expect with Humanatic. It looks like this..
4. Rack up the earnings and win bonus dollars. 5. 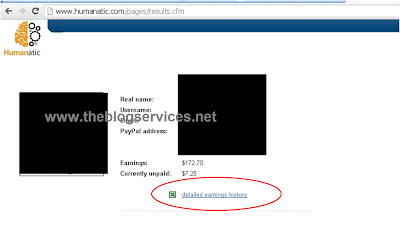 Get paid via PayPal. Sound good? Click here to get started today. Step 3: If you are ready to sign up for your account, click the hyperlinked “click here” at the bottom part of the page and start signing up with a form that looks like this.. Fill up the necessary details needed for you to complete the application form. You can make use of the initial of your name on the rectangular space provided for you to input your initials needed to know if you agree with their terms. After the process, you can submit your application. Be sure not to leave any space unfilled. Note: Usually it takes 2 weeks or earlier for your application form to be approved. Here’s a tip for you: if you know someone who is superior enough to update your application form, you can ask him or her. This will hasten and make it possible for you to be accepted on the job. Step 4: Once you are accepted and approved by the company, you will receive an email and you can start right away. 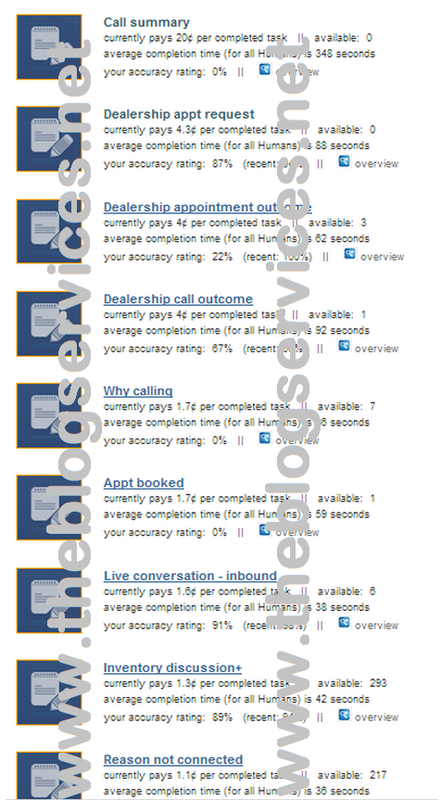 Review calls – if you want to start viewing all your categories and review calls as well. 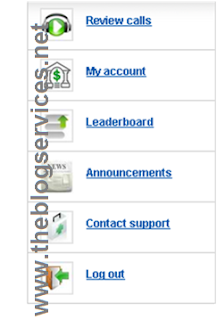 My account – if you want to see your account details which includes your earnings and other information. This is also where you will go if you would like to make a change in your account settings such as your username, password, paypal address, etc. Leaderboard – if you want to know who remains at the top of the earning scene. Announcements – if you want to read announcements directly coming from Humanatic/Century Interactive personnel. Read this often if you want to be updated. Contact Support – if you have any concerns and questions regarding the operation. Log out – if you want to exit your account. On the starting phase of your job, you will receive three categories namely Live Conversation: Inbound, Live Conversation: Outbound and Inventory +. These three categories differ in terms of rate per review and the nature of calls. The rates may increase or decrease depending on the availability of calls. 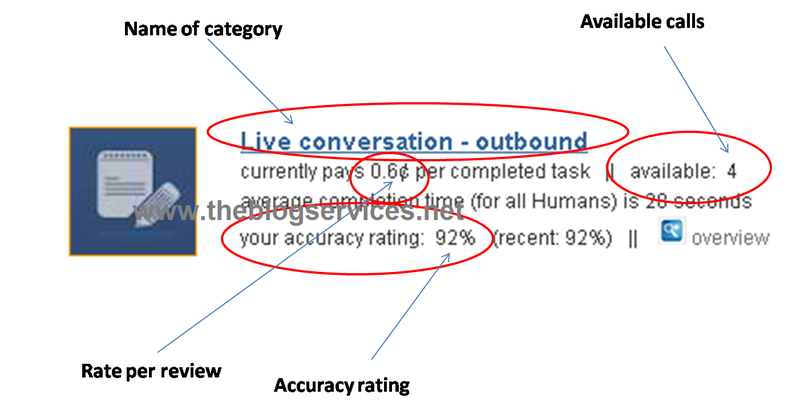 You will see in the category the details about the rate per review, accuracy rate and the number of available calls as diagrammed below. Make sure that you are tagging the calls correctly because that will affect your accuracy rating. Remember, you have to maintain an accuracy rating of 95% - 100% in order for the category to stay with you (though in some cases, you can still make use of your category with lower accuracy rating). Accuracy matters more than speed! Take note of this. Your category will increase depending on your performance. Do not rush or make a wild guess in reviewing calls. You will be put to “check your pace” page or to a more serious degree of losing your category if you will do this. If there are no calls available to review, better read the “overview” of your categories to learn once again how to tag calls properly and eventually do something out of the mistakes that you have committed in your recent call review activities. It depends upon your location. Since I live in the Phillippines, normally, calls start at around 10:00 pm up to 11:00 in the morning. But if there are so many pending calls to review, it will extend up to the point when there is no remaining call left. One of the best things about Humanatic is that the company is trying to maintain a reputation to continue the services rendered. There are bonuses given to hardworking reviewers who will be able to review correctly a particular number of calls. Incentives are also given to those who will be able to reach the leaderboard that lists down the top earners of the day. 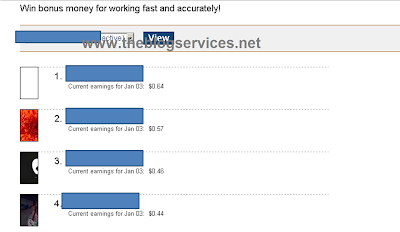 Aside from it, a detailed earning history is provided for those who would like to have a comprehensive look at their detailed earning history. A downloadable spreadsheet is provided that tells how reliable Huamanatic is when it comes to transparency of earnings! Since Humanatic reviewers depend on their categories for their living, they have to protect their categories as much as possible by making sure that all tags, if necessary are correct. Here is a screenshot of my remaining categories as of this moment. To be honest with you, I once had 8 categories but probably because of my failure to comply with the standards of maintaining categories, I lost the three. Well, I don’t have to shed a tear for that nor have this feeling of “cringe factor” since I still have the capacity to bring back my long lost categories by simply improving my performace. Appt Booked – simply determine if there is a sort of “appointment” that was booked during the call. Specification is simply by means of “Yes”, “No” or “Correction: not an appointment opportunity”. 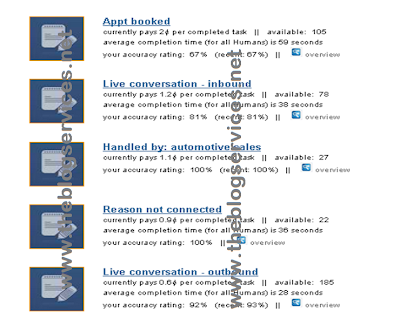 Live conversation – inbound – with this category, you will have to determine if there is a successful call connection between the caller and the agent who handled the call. Several choices can be seen at the bottom of the call specifying the time when the connection was made to no connections at all. You have to be careful and listen very carefully to the call. Handled by automotive sales – this is personally, my favorite category since you will have to determine who among the sales representatives handled the call. In case there are duplication in the list of a particular name, you have to choose “agent not on the list…” button to be sure. Reason not connected – is simply knowing the reason why an interruption or being unable to connect with an agent or caller took place. You have to know whether the caller Reached voicemail, left message, Reached voicemail, did not leave message, or other possible reasons. If you think this is wrong and there was a connection between the caller and the one who received the call, you have to mark it as Call connected to a live, qualified agent. 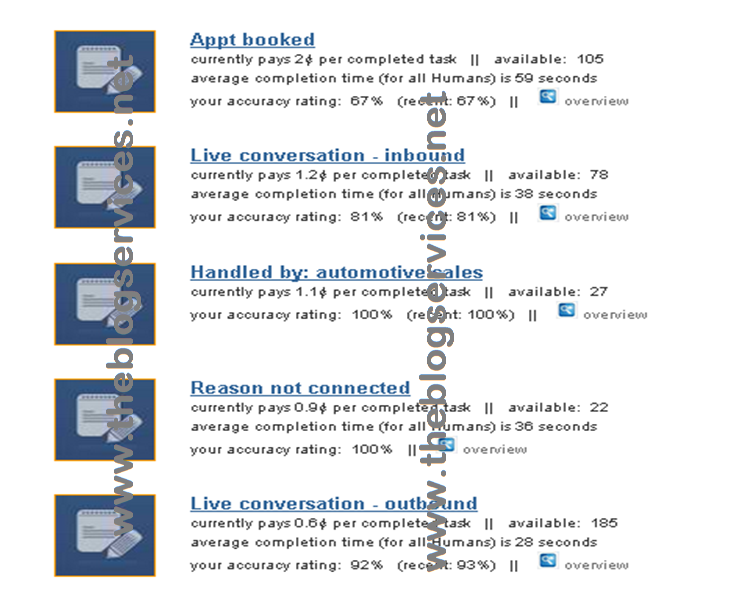 Outbound – outbound calls made are from the agent to a specific person outside (client). You can easily determine the status of the call by simply going through the short conversation. Usually, calls in this category are shorter than others. I can only discuss with you what I have experienced, though I could reveal other numerous possible categories you might have the moment you venture on Humanatic ground. Here are some possible categories (the image below) you might have if you are performing well in Humanatic. Be aware of auditors! They check your tagging of calls occasionally. Here is a screenshot of some possible categories you might have but this is not the complete list as I was trying to look online for the complete one but I could not find any, it might be stored only in the Humanatic database. You will be paid in terms of your paypal account. Make sure that you have a verified paypal account ready to receive payments or else, your payment will be put into queue. Once you have reached an earnings of 10$ above, you can request for a payout already. You can do several requests weekly. In my case I request twice weekly but haven’t tried thrice yet. Payment requests are processed every Tuesdays and Wednesdays. If no payment is received within the said days, you can email humanatic@centuryinteractive.com. After reading this post, you can go directly to the link I have provided and sign up for your account. The key is patience in applying and patience in reviewing calls. You will know that little by little, you are gaining something out of your efforts to be excellent in your job. Have a wonderful Human life! 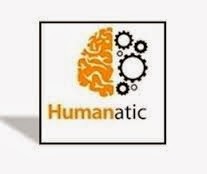 And don’t forget to like the Humanatic fan page in facebook to be updated. Super comprehensive indeed, Frank! Thanks for sharing the in depth Humanatic review. Welcome, thanks for passing by and leaving a comment..Happy earning! Ang galing.. ang laki ng earning huh! Human member here too. Thanks Jocris leaving a comment, sipag lang kelangan para malaki kita sa humanatic... Happy earning! I had joined humantics 2 weeks back and initially see only 2 categories of Live Conversation for which i have maintained 96% acc. in one of it and the other with 82%. So Please tell me still how much time should it take to add up few more categories that have higher earnings, while maintaing the above accuracy. Frank, thank you for helping us. I would like to know how to have an account in humanatic.com. My paypal account is 80% completed. How ca I make it 100% completed? Do I have to pay humanatic.com for my request membership? Thank you. Just applied at Humanatic and filled-up the form. I checked my email and got the answer from them right away. I was accepted at once, but I don't know how to go on. I read the overview and announcement over the site. So, I log-out and research for this topic that I came across your article. Thanks for this comprehensive article. Welcome, I glad to hear that this article helps you.. Happy earning! Wow! I will try once my Paypal account is verified! in paypal .. I want to register an account .. what option do i choose ? is Personal/Premier/Business? You may choose personal or premier type of paypal account. nahihirapan akong mag sign up sa paypal .. Business ba yung option ? or personal ? then what address and company lalagay ko ? You may use your own address for you to have supporting documents (like proof of address) if your account got limited in the future. If you still have audited calls to review again and you already requested a payout, do you still be paid? yes, you will. You're audited calls, if wrongly tagged, will be deducted on your next earnings.